Consumers are often at the mercy of specialists: contractors, electricians, plumbers and the like. Unless you’re super handy, you rely on them to diagnose and fix problems in your home. Even if you get multiple estimates, how do you know they’re not misrepresenting a situation to make a small job into a bigger, more expensive one? Unless an honest employee troubled by the behavior of others in the company blows the whistle. That’s what happened in the case of Karl Baer, 86, who contacted A.J. Perri, one of the largest plumbing companies in New Jersey, when his Morganville home’s sewer line had a clog. 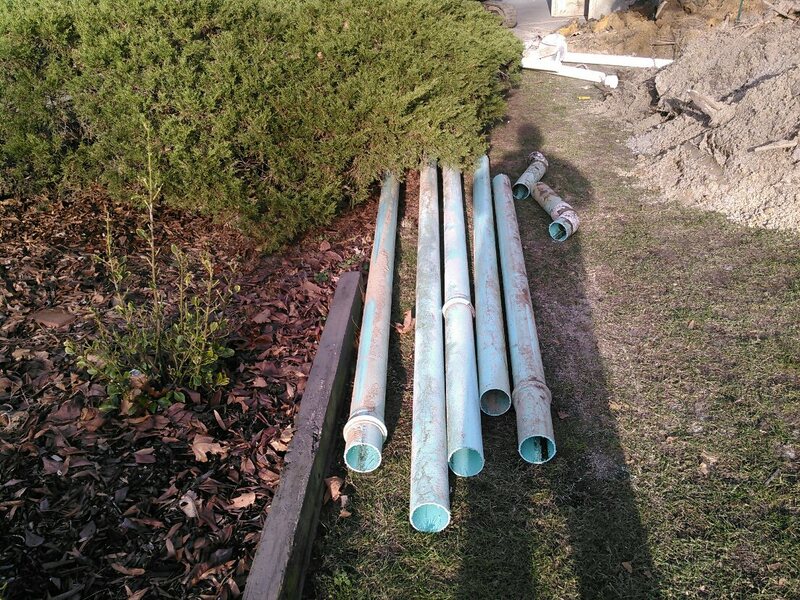 A salesman recommended the replacement of the entire 60-foot sewer line, Baer said. The job would cost $11,501. Baer thought he was doing the right thing based on the “strong suggestion” of the salesman, who also offered a spot fix of the clog for a significantly lower price. 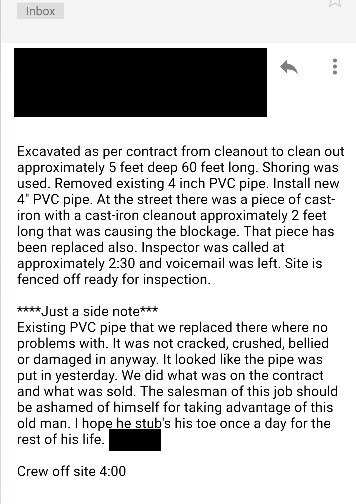 The employee, who asked to remain anonymous, provided copies of internal emails that show the foreman who did the work thought the salesman oversold the job. The emails show the foreman believed there was a blockage at the end of the sewer pipe near the street, but the rest of the pipe was healthy. 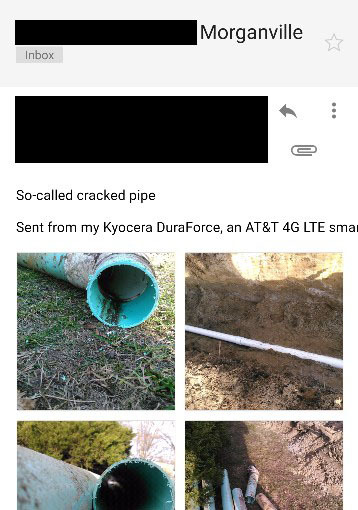 The anonymous employee provided Bamboozled with photos of the removed pipe. It does not appear to be damaged. The employee also said a video existed of a snaked camera, or endoscope, running the length of the pipe. Baer, the homeowner, hadn’t questioned the job until he was contacted by Bamboozled. Baer said he called the company and paid $189 to unclog a blockage. The next day, a different rep came to run a camera through the sewer line. “They showed me the blockage,” Baer said. “As he was withdrawing the camera, he said there’s a crack here and a crack here, and he strongly suggested I better get the whole pipe done. “He said there is a lot of damage and if you don’t fix the whole line, we will only be back to fix it again. He gave me a choice but he strongly suggested that I do the whole pipeline because it would only be a matter of time,” Baer said. We provided the internal emails and photographs to A.J. Perri general manager Jim Henkel, and asked him to review the case. After speaking to the employees involved in the job, Henkel said the salesman reported he gave two options to Baer, and Baer chose to do the whole line. Henkel confirmed he did not see other breaks in the line — just the problem at the end near the clog. We asked for a copy of the video so we could take it to an independent expert. The expert said replacing the entire pipe was unnecessary. After our conversations with A.J. Perri, Baer received several calls from a company rep.
Baer said they talked about the health of the pipe. A.J. Perri agreed to return Baer’s check for the original job, which had not yet been cashed, and Baer agreed to pay $2,000 for the repair at the end of the line. The check was hand-delivered to Baer that night. General manager Henkel said the company “takes great pride” in resolving the issue with the customer.